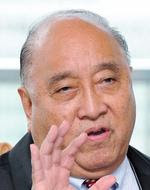 Updated 11/12: Musa-Gate: Rocky's Bru-ing Wrong by Straight Talk For someone who takes offence at being called Pakatan's Khoo Kay Peng, Khoo Kay Peng is oddly at ease about labelling other people. 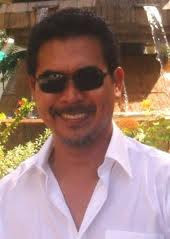 Musa Hassan, for example, is "a well known henchman of the Umno regime". He's got some adjectives for me, too, but nothing original. Khoo does have an interesting theory about what Musa Hassan could be up to, so do read his thoughts. 10/12: Musa Hassan says Robert Phang offered himself to be his adviser when he was the IGP. "Why do I need an adviser when I could still think for myself?" Musa told a press conference this afternoon. 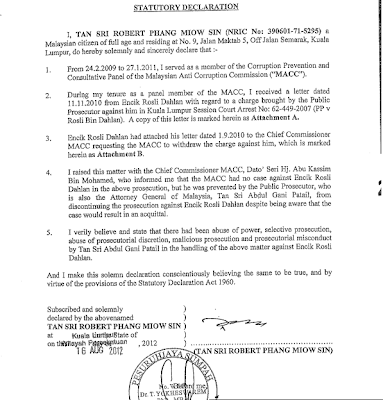 The Mole has the story in Musa to Phang: Apologise in three days or face lawsuit. Robert Phang's SD, in my opinion, joins this special group primarily because of who he was (a member of the MACC) and who the SD is aimed at (the MACC). I don't know about you guys but when he received the letter from Rosli Dahlan, Tan Sri Phang should have lodged a report to the authorities to protect his own reputation. He did not do this and this has raised a kind of curiosity - in my mind, of course - as to what his relationship with Rosli Dahlan actually was. Was he compromised/Did he compromise his position by personally trying (promising?) to help a person that was being investigated by the police and the MACC? Were there minutes of his conversation with Abu Kassim on the matter or was it a private conversation? The SD connects a lot of big players: Rosli Dahlan was the lawyer of former Director of Commercial Crimes Ramli Yusof on more occasions than one. The two were classmates at UIA and Ramli, by Rosli's own admission, was perceived to be an Anwar Ibrahim supporter. Ramli and Robert Phang were in the news recently, both attacking former IGP Musa Hassan. Musa and Ramli are what I called sworn enemies. Rosli is suing a string of people, including the Malaysian Government. Robert Phang quit the MACC after blogs accused him of trying to bribe the former Home Ministry's secretary-general, which he had denied vehemently. The other dude whom he named in the SD - the Attorney-General Gani Patail - can be linked to all the above. Robert Phang's SD is not a coincidence. It was calculated. But to do what? The SD itself prove that he is a Mr Fix It. Anxiously waiting for Robert Phang to deny. Yang Perlu Cuma sedikit Wang!!! Uncle Robbie had had his share of the huge cake, but that was before. Now? Robert Phang,Dato Ramli,Rusli vs TS Musa and Ghani Pathil. Najib should stop all this nonsence. ??? ?what's wrong? with the SD I mean...what's wrong? This is more important than UMNO getting land ver cheap and instead of using it for the rakyat (only their supporters anyway) making money out of it. This has been exposed many times recently by the current ruling coalition in Selangor, but that is not so important than the case that Rocky is showing interest. Ex-IGP Musa Hassan, not known to be musically inclined, is singing his head off like the proverbial canary. What an expose! The big question though, is, why did he not expose everything while he was in power? Had he done so then, it would have been a hell of lot more convincing. We would all have applauded him for his courage, honesty and integrity, and supported him as next Home Minister! Now? It sounds very contrived. What is his real motive? Is he miffed Najib did not offer him ambassadorship to Brunei or France, or gaji bita chairmanship of some Government Losing Concern Plc, unlike another ex-IGP who seems to have secured a life tenancy at Genting? Balls carrying is a simple art; and Musa had so many illustrious role models. Yet, it looks like he didn't know that to become a multi-millionaire or billionaire post-retirement with BUMNO/BN, he should have lifted more than his body weight! Poor, Musa! He would have been better off as understudy to Hanif, than wasting his time on a law degree. Sob! Sob! Maybe they should leave the human race and join the orang utans instead..this will do the human race a lot of good!!! To do what you might ask? To get rid of what these chauvinist Chinese perception of what they see as a "Malay-dominated government" and to seize power form the Malays and turned it into another Taiwan and Singapore, 'cept the Malays are so stupid not to see it....Pas-ke, Umno-ke, PKR pun sama! B angun lah dari slumber kamu dan sedar lah Melayu di serang depan, atas, bawah, belakang dan Melayu masih bongok lagi!!! I really do not understand how a person like Robert Tan can be awarded Tan Sri? What is his contributions? Government is also at fault. I suggest yhat the present government just strip him off his Tan Sriship immediately. That is called tranformasi. This time this Robert fellow has chewed too much. He has played all his cards. I was utterly surprised when he got appointed to one of the MACC's panel-even though it was only the Prevention and Consultative panel (basically the lowest panel) I once asked the two most senior Govt officers on why Robert Phang was whacking them right left and centre and that they did not take any action. They both replied that Robert phang was a loose Cannon and they did not wish to waste Govt time to reply to his many Mis-alligations, However they did mention that they will take action againgt Him once they retire....one has started doing that.Robert Phang like Ramli Yusof know that they will have to keep speaking so that the public,which is for some strange is fed-up with the GOvt are buying into Robert And Ramli's crap..For these days the Public perception is the name of the game and no one cares much for Facts. One man is making waves and he would not stop talking. 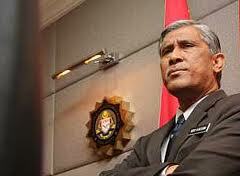 He is the ex-IGP Musa Hassan and a well-known henchman of the UMNO regime. Musa is now claiming interference in the police force and has made several serious allegations against the Home Minister, his former deputy, the KSU and other politicians. In other countries, these personalities, including Musa Hassan, would have been hauled up for investigation. He was the IGP, the highest rank police officer in the country. Here, his allegations are merely treated as a talk show. Press members, especially the alternative online news media, are treated to exciting story telling. But the mainstream media have mostly avoided and ignored him. Of course the Home Minister and his party leaders have brushed aside Musa's expose and claimed that someone is behind the latter's move to disrupt the UMNO's general assembly. It is difficult to imagine that Musa is doing the expose right now to help save the police force from further deterioration. If he did nothing much during his tenure as an IGP, what can he do now as a retired civilian? We remembered clearly that Musa was at the centre of most controversies and he was even seen in greater cohort of the ruling regime compared to any IGPs previously. Is Musa a real champion of the police force? If he is, he would have moulded a force that would respect the fundamental rights of the people to assemble and speak up. He was the commander-in-chief of the police who had instructed harsh clampdown on peaceful assemblies. Interesting, a pro-UMNO blogger is joining the fray and is trying to spin his way through to protect the integrity of Musa Hassan. He even had dinner with Musa to find out if his expose has anything to do with Pakatan's Anwar Ibrahim. Of course he had to spin it in a way to hint that Anwar was jailed because he tried to interfere with police investigation. I will leave this part to PKR leaders to defend their supremo. Rocky's conclusion: "I believe the man but others wanted Musa perceived as just another "yes" man (and corrupt, too, if RPK's stories were to be believed!). Then Rocky quoted a portion of my post in 2010 "Musa Hassan on Interference of Police Work: Too Late, Too Little" and credited me as a Pakatan blogger insinuating that the opposition would have cooked up various reasons to doubt Musa. Unlike him, I am not a Pakatan blogger or member and I am not paid to spin up or spice up stories for the political warlords. My independence has irked many people including those from Pakatan too. He even called Musa a "Allah-fearing cop" but God would have expected for all men and women to be treated with equal respect and dignity. I leave you to measure Musa's integrity and credibility. What is interesting is a pro-UMNO blogger and a top henchman of the party came out to defend Musa Hassan in his expose and tried to help the ex-cop to shore up his credibility. What is next for Musa? Perhaps what Musa is exposing is just a desert/starter. He could be warming up for something more juicy and destructive - although not necessarily to the ruling regime or UMNO leaders. If Rocky is joining the fray and claiming that Musa is trustworthy, credible and Allah-fearing, he will not do it for no reason or to add credence to Musa's mild attack on his bosses. They could be pointing a bigger cannon at Anwar Ibrahim's direction. Then, they would expect the middle ground to believe them because Musa Hassan is credible and Allah-fearing. He is independent and he wants to help the nation. He has spoken up against UMNO and he is now saying that Anwar is the biggest devil. So you better believe him. See Rocky? I am becoming a good script writer too and I understand the plot without having to become a henchman of any political party or politician. I do not have to be a Pakatan man to say that I stand by my view in 2010 on Musa Hassan. I think it seems that both Musa and Ramli have a lot of personal animosity towards each other which can cloud judgement. 1. Ramli was found not guilty of the charges bought against him. 2. The Judge in the case declared that Musa Hassan's evidence against Ramli was 'not credible'. 3. Musa has made clear accusations that the Minister of Home Affairs and members of the government are actively interfering in police operations and assignments. 4. The Govt has not given an adequate reply to Musa's accusations. 5. Musa has accused the current IGP of being a 'yes-man' subservient to Ministers. These are all serious accusations and need to be answered. Musa himself needs to not just make accusations but provide evidence as he can be accused of being a similar yes-man in the past and also questioned on why he did not make a stand before. Either way the public view of both the Police and Govt are becoming more negative the longer this goes on. Musa Hassan is now engaged in guerilla warfare with Home Minister Hishamuddin Hussein Onn and both his predecessor Ramli Yussuf and successor Ismail Omar. Allegations and counter allegations are flying forwards and backwards thick and fast. Coincidence? Are you frigging kidding me? In Malaysian politics? Who stands to benefit from this latest bout of election stupidity? Who is powerful enough to promise Musa Hassan a bullet proof vest after instigating him to take on Hishamuddin, Ramli and Ismail all at one go? One thing is for sure though – we the rakyat who are caught in the crossfire are the losers as collateral damage in this dangerous game. Musa should retire in peace...he will be more respectful rather than involve in political issues or issues pertaining to the police force. Let new & other people tackling & managing the problem that still occur in the police force. It rather good for him to enter into corporate sector / own a business for example. He may become chairman of a company as what Tun Hanif Omar is doing. My opinion, don't involve with issues that has linked to politicians. He will be bad anyway if he have sided on opposition as bad as if he sided the BN. He should retire clean from any politic. 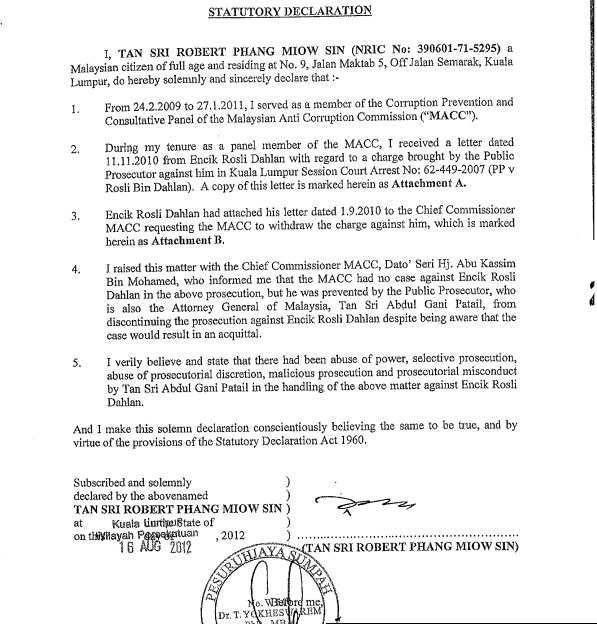 the big issue here is , was robert tan an intemidiary between zionist israel and malay muslim pdrm? Was robert tan an intermediary between motorola inc and the malay muslim pdrm to fork out rm$$$ 'bribes' for certain people in the corridor of powers? Poor anwar got sack fron parliamebt by nazri foe his remark about apxo yahudi. It was a fact? But anwar got thrown out of parliament for 6mths!! it is so funny...all these people including only know you recently - thuse the references to your single malt and not beer. and you don't even blog good things about Umno. whaat...they think there's only one way for anyone to survive -- be an Umno-paid blogger. you're a blogger... but you're a jounralist and a media strategist and you have your own outfits..and didn;t the NSTP (under Kaligula) paid you handsomely to make you go away??? and this khoo fella -- he's a consultant of some sort...displaying his business on his blog. now, he's a businessman, aint he? Almighty ALLAH will, surely, punish Murderer Assassins Crooked Cronies! How come they say Mighty Allah will neglect to punish the philanderers, adulterers, sodomisers, chinadoll fornicators, serial liars, etc. Insya Allah, HE will surely punish them too, especially those who continuously "fitnah" other people, those who misrepresent Islam and tose who simply accuse otherrs of imaginary "crimes" without a shred of evidence. The manifesto prompts due criticism as it depicts arrogance on his part. One who disregards advice is essentially going deaf prior to being blind with arrogance.